Good morning ERISA Watchers! This week’s notable decision is an unpublished decision out of the 8th Circuit Court of Appeals – Mulholland v. Mastercard Worldwide – which found that a long-term disability (“LTD”) claim is not time-barred based on the application of a state law limitations period and the language of the LTD plan’s contractual limitations period. The LTD plan provided that legal action of any kind could not be brought more than three years after proof of disability was required to be filed “unless the law in the state where [the plan participant] live[s] allows a longer period of time.” The court found that this provision distinguished this case from the U.S. Supreme Court’s decision in Heimeshoff v. Hartford Life & Accident Ins. Co., where the court found a disability claim time-barred based on the policy’s contractual limitations period. In Mastercard Worldwide, the court reversed and remanded the district court’s dismissal of the plaintiff’s lawsuit and ordered that the claim be considered on its merits. Mulholland has been without benefits since January 2008, over 7 ½ years! There will be a healthy amount of back benefits owed to the plaintiff if she prevails. Hope you have good credit MasterCard! Where complaint alleges only an injury for which § 1132(a)(1)(B) provides an adequate remedy, it fails to state a plausible claim for breach of fiduciary duty or disgorgement. Gluc v. The Prudential Insurance Company of America, No. 3:14-CV-519-DJH-DW, 2015 WL 6394522 (W.D. Ky. Oct. 22, 2015) (Judge David J. Hale). Plaintiff alleged that the termination of her long-term disability benefits was based on a number of errors, including speculation as to her future condition; reliance on outdated data, including a functional capacity evaluation from 2012; and failure to seek further medical examination or explain why it disagreed with her treating physician. In addition to a claim for benefits, Plaintiff brought a claim for breach of fiduciary duty. 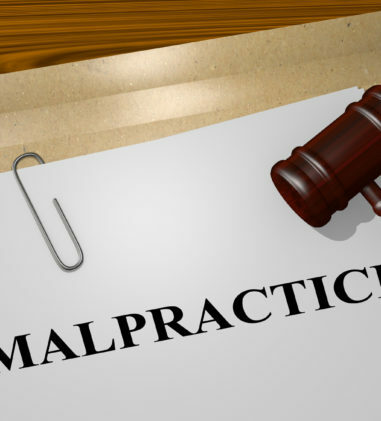 The court found that the alleged injury can be remedied through § 1132(a)(1)(B). Though Plaintiff alleges numerous flaws in Prudential’s claims process, ultimately, the only injury she purports to have suffered is loss of benefits-an injury § 1132(a)(1)(B) is designed to address. Breach of fiduciary duty claim related to denial of long-term disability benefits does not meet Iqbal standard and must be dismissed. Myers v. Anthem Life Insurance Company, No. 3:14-CV-00948-JHM, 2015 WL 6394524, at *2 (W.D. Ky. Oct. 21, 2015) (Judge Joseph H. McKinley, Jr.). Plaintiff’s complaint alleges that she submitted a claim for long-term disability benefits to Defendant, and Defendant subsequently denied the claim and later appeal despite her continuing disability and adverse effects of her medication. The court found that the complaint is “glaringly bereft” of any reference to Defendant’s breach of fiduciary duty or to any facts that could lead a reader to infer a breach of fiduciary duty. The court further found that Plaintiff has not provided any facts, apart from those surrounding her denial of benefits claim under § 1132(a)(1)(B), for the court to even guess what the § 1132(a)(3) claim for equitable relief might entail. Default judgment entered against alleged breaching fiduciary of benefit plans. 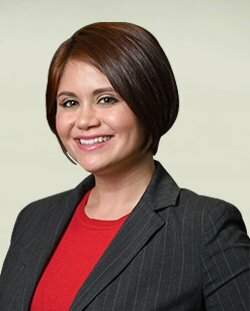 Perez v. Hanco, Inc., No. 3:14-CV-1908-PPS-CAN, 2015 WL 6118565 (N.D. Ind. Oct. 15, 2015) (Judge Philip P. Simon). The court granted the Secretary’s motion for Default Judgment against Defendant Hanco, Inc., who the Secretary alleged failed to contribute the requisite funds to its employees’ 401(k) plans, health plans, and dental plans while it served as fiduciary of those plans. 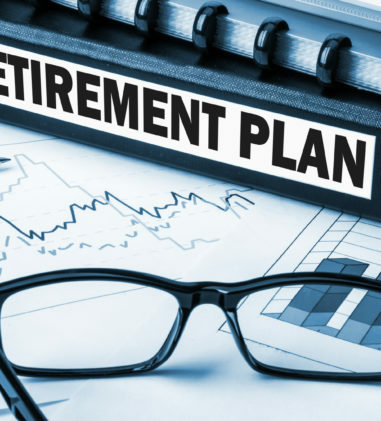 Defendant also allegedly failed to terminate the 401(k) plans and failed to authorize distributions to participants and beneficiaries. The court ordered Hanco to restore $25,697.32 to the Hanco, Inc. Health Plan and $2,609.44 to the Hanco, Inc. Dental Plan. 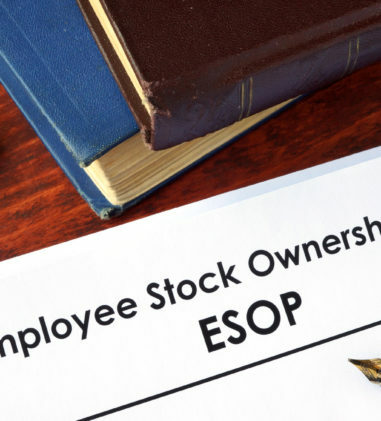 The court permanently enjoined Hanco from violating the provisions of Title I of ERISA, from serving as a fiduciary for any Hanco employee benefit plan or Hanco employee welfare benefit plan, and from serving as a fiduciary or service provider to any ERISA-covered employee benefit plan. 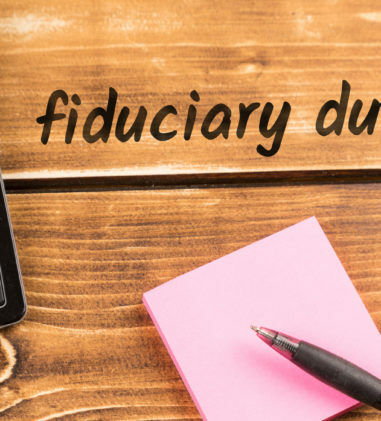 Alleged representations by Trustee’s employee regarding Plan requirements do not state a claim for breach of fiduciary duty where Plan is unambiguous. Wilson v. Cox, No. 3:15-CV-00059-SI, 2015 WL 6123776 (D. Or. Oct. 16, 2015) (Judge Michael H. Simon). The Health & Welfare trust denied coverage for Defendant/Counterclaimant’s discograms because Cox did not submit the bills within one year of the date of the treatment and the Plan establishes that “in no event shall benefits be allowed if the bill is submitted or the notice of claim is made beyond one calendar year from the date on which expenses were incurred. Cox alleged that the Trust should be estopped because he relied on certain statements by a Trust employee in failing to submit the discogram bills. The court found that the Plan expressly and unambiguously requires that all bills be submitted within a year of treatment and the representations alleged by Cox were not an interpretation of the Plan but would serve to modify or contradict the Plan. The court found that Cox failed to satisfy the additional requirements of equitable estoppel in the ERISA context, which require a showing that the Plan is ambiguous and that a representation interpreted that ambiguity. Because Cox failed to state a claim for breach of fiduciary duty under Section 1132(a)(3)(B), the court dismissed this counterclaim with prejudice. Denial of LTD benefits not an abuse of discretion. Neno v. Aetna Life Ins. Co., No. CV RDB-14-03071, 2015 WL 6326445 (D. Md. Oct. 20, 2015) (Judge Richard D. Bennett). The court granted summary judgment in favor of Aetna on Plaintiff’s long-term disability claim. It found that the denial of LTD benefits was not arbitrary and capricious where Aetna reasonably defined the material duties of Plaintiff’s “own occupation” (i.e., that his job duties were closer to those of a Satellite-Instruction Facilitator than a Training Instructor) and reasonably determined that Plaintiff could perform his material duties. The court further found that Aetna did not abuse its discretion by extending Plaintiff’s short-term disability claim but subsequently denying his LTD benefit claim. Lastly, Plaintiff’s SSDI award does not indicate that Aetna abused its discretion. Workers’ Compensation permanent partial disability award is offsettable income under terms of disability plan. Izzarelli v. Lubrizol Corp. Long Term Disability Plan, No. 1:15 CV 457, 2015 WL 6437210 (N.D. Ohio Oct. 22, 2015) (Judge Patricia A. Gaughan). 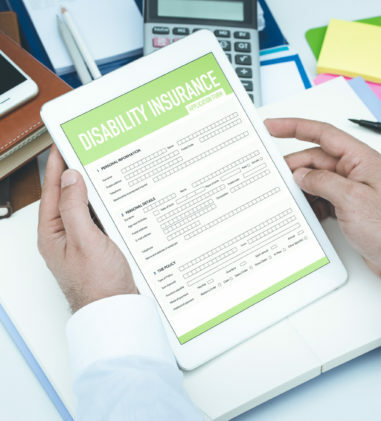 Plaintiff challenged Defendant’s decision to deduct his Workers’ Compensation permanent partial disability (“PPD”) benefit from his long-term disability benefits. The Court found that the Plan’s decision was not arbitrary and capricious as there is no patent ambiguity in the offset provision. 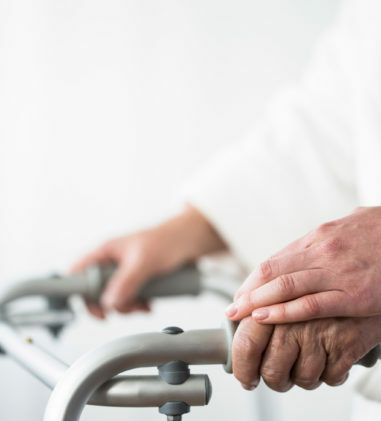 The court concluded that on its face, the term clearly provides that long-term benefits shall be reduced by the amount of any disability benefits provided for by worker’s compensation laws-without regard to whether the payments were for loss of income. The court declined to consider statements in the summary plan description since they were not part of the administrative record and because they cannot change the plain terms of the long-term disability plan. Counterclaim for accounting dismissed. Constr. Industry Laborers Pension Fund v. Explosive Contractors, Inc., No. 4:15-CV-00083-SRB, 2015 WL 6432776 (W.D. Mo. Oct. 21, 2015) (Judge Stephen R. Bough). In matter seeking delinquent withdrawal liability, the court dismissed Defendant’s Counterclaim for an Accounting per Missouri law seeking an accounting of any allocation formulas and methodology used in calculating the alleged withdrawal liability, the alleged liquidated damages and alleged interest owed. The court found that the Counterclaim nowhere mentions any claimed right that 29 U.S.C. § 1451(a)(1) allows Defendant to pursue its counterclaim for accounting. Complaint alleging wrongful termination and retaliation does not fall within scope of ERISA Section 510. Yoshimura v. Hawaii Carpenters Union Local 745, No. CV 15-00292 HG-RLP, 2015 WL 6126805 (D. Haw. Oct. 15, 2015) (Judge Helen Gillmor). Plaintiff claims Defendants unlawfully demoted and terminated him in retaliation for his refusal to prepare and submit fraudulent time records to the United States Department of Labor. He alleged four state law causes of action. Defendant removed the action based on ERISA preemption and moved to dismiss Plaintiff’s claims. The court denied the motion, finding that ERISA does not completely preempt Plaintiff’s claims because they do not fall within the scope of ERISA Section 510, 29 U.S.C. § 1140. In addition, ERISA does not expressly preempt Plaintiff’s claims because they do not encroach on ERISA-regulated relationships. Failure to exhaust administrative remedies not excused and case dismissed without prejudice. Hues v. Fed. Ins. Co., et al., No. 2:15-CV-84, 2015 WL 6107644 (S.D. Ohio Oct. 16, 2015) (Judge James L. Graham). Plaintiffs did not file an administrative appeal of Defendant’s denial of accidental death benefits. The court found that the complaint should be dismissed for failing to exhaust administrative remedies provided by the Plan. The court rejected Plaintiffs’ estoppel argument based on the decision letter which stated that they “have the right to appeal” but did not inform them that they were required to appeal. Defendant, as claims administrator, had no obligation to provide Plaintiffs with the SPD that states the requirement to appeal. The court also rejected Plaintiffs’ argument that exhaustion would have been futile because Plaintiffs were actively involved in the claims process, they had nothing further to submit in support of the claim, and they were certain that Defendants would deny the appeal. The court declined to dismiss the case with prejudice since the court could not say definitively that the claims administrator in this case would reject Plaintiffs’ reasons for not filing a timely appeal as opposed to waiving the time limits, and Plaintiffs should have the opportunity to make those arguments to the administrator. ERISA’s anti-forfeiture and anti-cutback provisions do not protect disability pension benefits. Myers v. Bricklayers & Masons Local 22 Pension Plan, No. 14-4234, 2015 WL 6218994 (6th Cir. Oct. 22, 2015) (BOGGS, SUTTON, and COOK, Circuit Judges). In this case the Defendants revoked Plaintiff’s disability pension when they discovered that he violated an eligibility condition-working in “noncovered masonry employment.” Plaintiff claimed the amendment adopting the disqualifying eligibility condition violates ERISA’s anti-forfeiture provision, which protects normal retirement benefits from forfeiture, and anti-cutback provision, which prevents amendments that decrease accrued benefits. The Sixth Circuit found that its decision in McBarron v. S & T Industries, Inc., 771 F.2d 94 (6th Cir. 1985) controls and affirmed the decision of the district court dismissing Plaintiff’s suit for failure to state a claim. Complaint dismissed for failing to allege specific facts related to assignment and waiver of anti-assignment clause. Cohen v. Horizon Blue Cross Blue Shield of New Jersey, No. CV154525JLLJAD, 2015 WL 6082299 (D.N.J. Oct. 15, 2015) (Judge Jose L. Linares). Plaintiff, a board certified orthopedic surgeon, brought suit against Horizon for not paying for emergency spinal surgery he performed on Patient AM. 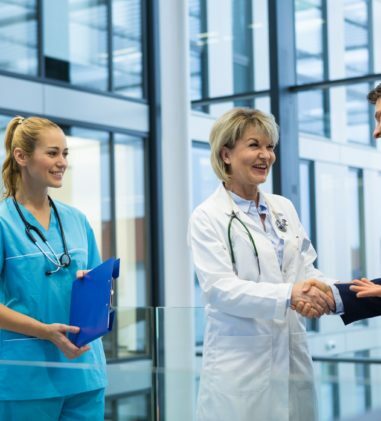 The court granted Horizon’s motion to dismiss the Complaint, finding that it fails to set forth the specific facts pertaining to the alleged assignment of Patient AM’s rights to Plaintiffs and Horizon’s alleged waiver of the anti-assignment clause in the ERISA plan. However, the court granted Plaintiffs leave to file an Amended Complaint to address these deficiencies. The deficiencies included failing to plead any underlying facts pertaining to the alleged assignment and failing to allege specific allegations of fact to support that Horizon waived the Plan’s anti-assignment clause (even assuming that it could). The court declined to address the preemption arguments raised by Horizon. 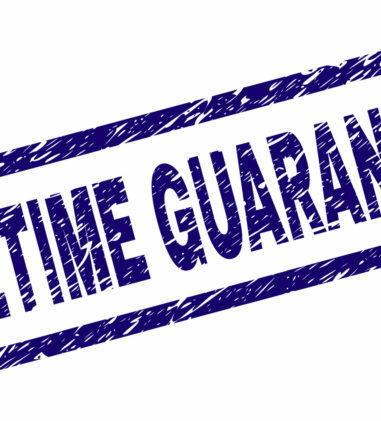 Long-term disability claim is not time-barred based on the application of a state law limitations period and language of LTD plan’s contractual limitations period. Mulholland v. Mastercard Worldwide, No. 15-1211, __Fed.Appx.___, 2015 WL 6161462 (8th Cir. Oct. 21, 2015) (WOLLMAN, BYE, and GRUENDER, Circuit Judges). The court reversed and remanded the district court’s determination that Plaintiff’s long-term disability claim was time-barred based on Heimeshoff v. Hartford Life & Accident Ins. Co., 134 S.Ct. 604 (2013). The LTD plan provided that legal action of any kind could not be brought more than three years after proof of disability was required to be filed “unless the law in the state where [the plan participant] live[s] allows a longer period of time.” The court found that the provision in Heimeshoff did not contain the additional language allowing a participant to file suit beyond three years if the law of the state provided for a longer period, and thus concluded that the instant suit was not time-barred. In Missouri, the applicable limitations period for ERISA actions is the ten-year limitations period in Mo.Rev.Stat. § 516.110(1). 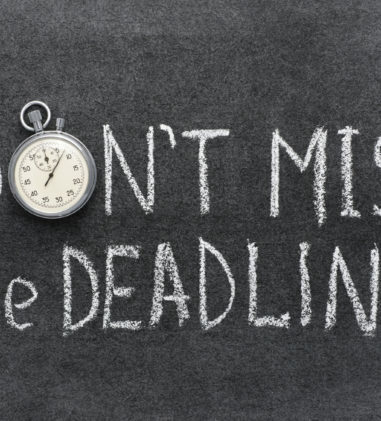 In Harris v. The Epoch Group, L.C., 357 F.3d 822, 824-26 (8th Cir.2004), this court previously held that where the ERISA-governed benefit plan contained a contractual limitations period nearly identical to the one here, the decision in Johnson v. State Mut. Life Assurance Co. of Am., 942 F.2d 1260, 1261-62, 1266 (8th Cir. 1991) (en banc) (because ERISA contains no statute of limitations for actions to recover benefits under an employee benefit plan, looking to state law for most analogous statute of limitations) is binding. Arbitrator’s interpretation of provisions in a project labor agreement does not violate a well-defined policy. D.A. Nolt, Inc. v. Local Union No. 30, et al., No. 12-5810, 2015 WL 6378601 (E.D. Pa. Oct. 22, 2015) (Judge Anita B. Brody). The court granted Defendant’s motion for summary judgment and granted in part and denied in part Plaintiff’s motion for summary judgment. 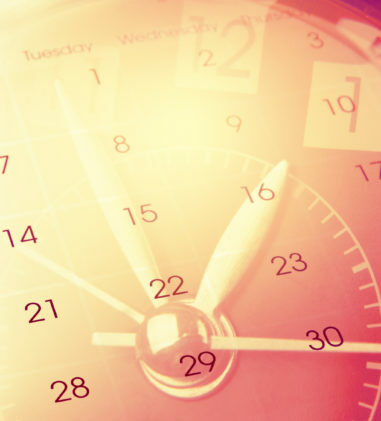 The court upheld the arbitrator’s interpretation of the Employee Benefit Funds provision and award, but modified the arbitrator’s award to reflect the proper total number of hours worked by Plaintiff’s non-union employees, 12,873.75. Although the court explained that this “pay twice” result may seem counter-intuitive, Plaintiff has not shown that the arbitrator’s decision is illegal or unconscionable. Joint employer theory of liability does not extend to nonsignatory employers. Carpenters Combined Funds Inc. v. Kelly Sys., Inc., No. 1:15-CV-1091, 2015 WL 6083598 (M.D. Pa. Oct. 15, 2015) (Judge Christopher C. Connor). In matter seeking fringe benefit contributions, the court declined to extend the joint employer theory of liability to hold nonsignatory employers liable under Section 515 of ERISA for obligations springing from a collective bargaining agreement signed by another employer. Therefore, even assuming Carpenters is able to prove Defendants were joint employers with the signatory Novinger’s, the court found that Plaintiffs still fail to state a claim based on a joint employer theory of liability upon which relief can be granted and dismissed the claim with prejudice. Summary judgment granted in favor on behalf of Plaintiffs seeking contributions and related damages on behalf of employee benefit plans. WILSON , v. BUCHANAN EXCAVATING, et al., No. 2:14-CV-1397, 2015 WL 6155876 (S.D. Ohio Oct. 20, 2015) (Magistrate Judge Norah M. Cann King). In a Report and Recommendation, the court granted Plaintiff’s motion for summary judgment on their unpaid contributions claim, and awarded Plaintiff $23,901.89 in unpaid contributions from January 1, 2011 through February 1, 2013 and $3,330.01 in unpaid contributions from February 2013 through April 2013 (for a combined total of $27,231.90) pursuant to 29 U.S.C. § 1132(g)(2)(A); $15,702.22 in interest, calculated to August 15, 2015, plus $13.44 per day thereafter, so long as the judgment remains unpaid pursuant to 29 U.S.C. § 1132(g)(2)(B); $15,702.22 in liquidated damages, calculated to August 15, 2015, plus $13.44 per day thereafter, so long as the judgment remains unpaid pursuant to 29 U.S.C. § 1132(g)(2)(C); Court costs in the amount of $400.00 pursuant to 29 U.S.C. § 1132(g)(2)(D); Reasonable attorney’s fees pursuant to 29 U.S.C. § 1132(g)(2)(D); and Injunctive relief pursuant to 29 U.S.C. § 1132(g)(2)(E), including a mandatory injunction directing defendants to comply with its contribution and audit obligations under the various agreements as set forth in more detail in the Complaint. Trustees of benefit plans entitled to creditor’s bill against company who defaulted on payments for benefit contributions as set forth in a settlement agreement between the parties. Trustees for the Ibew, Local 1 Health & Welfare Fund v. Greenpower Servs., LLC, No. 4:14-CV-00455-JCH, 2015 WL 6163512 (E.D. Mo. Oct. 20, 2015) (Judge Jean C. Hamilton). Following a settlement and consent judgment in favor of Plaintiffs against Greenpower Services in the total amount of $43,057.93, and Greenpower’s failure to make an installment payment, causing the entire balance to become due, the court granted Plaintiffs’ Motion for a Creditor’s Bill in Equity and to Pierce the Corporate Veil. The court found that Plaintiffs have established the necessary prerequisites to the issuance of a creditor’s bill, including that they established that Greenpowerstl is the alter ego of Greenpower Services.